Tesco launched a tablet and sold 400,000 in three months till Christmas. Soon others like Aldi and Argos followed suit. This promising marriage of retail and tech piqued my interest so I dug deeper. 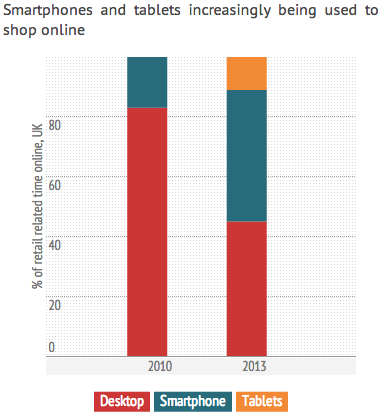 As we consumers have changed our shopping habits, retailers have invested heavily in online. 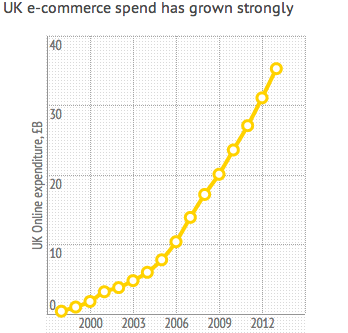 Roughly 11% of our total shopping expenditure in the UK happens online and it’s growing fast. Retailers like John Lewis have been aligning their brick and mortar stores with their online operations. Two thirds of John Lewis customers now interact with the company’s website and a store before making a purchase. And a third collect their online orders in store. Smartphone and tablets use is on the increase as we browse, compare prices and buy on the way to work, in the shopping mall and on the couch while we watch TV ads. Amazon was the first retailer to launch a tablet back in 2007. 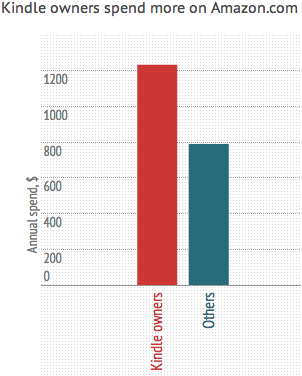 Today, Kindle owners are big loyal spenders on Amazon.com. No surprise then that Amazon reportedly prices its tablets at break-even prices. So it makes sense for a retailer to be in the tablet business. Households will own a tablet on average for two years. 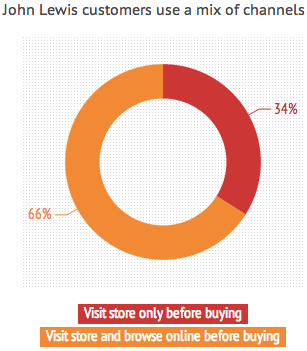 During that time, the retailer will have an opportunity to influence buying behaviours. As to what happens next, I guess that more retailers will launch tablets. Buoyed by initial success, they will get better at making tech hardware and experiment with software experiences. As tablets get lighter, smaller and easier to carry around, retailers will also start to experiment with in store experiences.